Why Buy a Carpet Cleaner? While a vacuum cleaner simply pulls dirt up from the fibres of your carpet, an electric carpet cleaner or shampooer provides full, deep-down cleaning, refreshing the fabric of your carpet, and breathing new life into it. Carpet cleaners are basically the soft-floor essential that the steam mop is to hard floors: no house should be without one! Of course, a carpet cleaner will tend to make you feel a little twitchy about how inefficient even the best cleaning regime is, simply because only carpet cleaners actually clean the fibres of your carpets, rather than just drawing up dirt particles. Ideally, you need a machine that dries the water/shampoo mix as it goes, so that you don't have to spend several hours with damp carpets. As you will need to clean the filter regularly, to ensure that the carpet cleaner continues to keep your carpets smelling fresh, getting a model with an easy-to-remove, washable filter is essential. Do I Need a Carpet Cleaner? If you have carpets, especially thick pile, which many vacuums struggle with, then a carpet shampooer is a good investment. However, if you have hard floors, a steam mop may prove cheaper. With a triple action vibrating brush, this carpet cleaner shakes loose even deep-down dirt as it cleans. It includes an upholstery cleaning kit, and offers faster drying times than other makes of carpet shampooer. However, it is a very expensive machine, and doesn't offer the kind of performance you would expect for the price – you're really just paying for the triple action brush. If you have to clean carpets in rental properties, this may be a worthwhile investment, but, the average householder who cleans regularly, the triple action brush shouldn't really be necessary. The Rug Doctor also lacks a fluid level indicator, which means you can end up running out of water and shampoo midway through a clean. For the average house holder, this isn't good value for money. In many cases, it would be more affordable to rent the same machine – there are many companies that offer this service – than to purchase it. However, if you have pets, particularly dogs, this may be a worthwhile investment for the deep-cleaning function, especially if you need to keep your environment as clean as possible to help combat allergies, or to protect someone with a compromised immune system, for example. From one of the leading names in carpet cleaning, this machine features five brushes, which work in combination to loosen deep down dirt, and an automix cleaning system, meaning you don't have to work out dilutions of carpet shampoo – the machine does it for you. This is a very loud model, and can't be used on upholstery. A fairly expensive machine, which is limited to carpets. Probably not the best use of your hard-earned cash, especially if you want to be able to clean around sleeping children or night shift workers. The water reservoir on this machine is refillable whilst the cleaner is in use, meaning you can just fill up and carry on cleaning. The All Terrain is suitable for use on both carpets and hard floors, and includes spinning machine brushes for deep cleaning, and a spin brush hand held attachment for upholstery and curtains. It doesn't perform well on stairs, however, and is heavy and awkward. 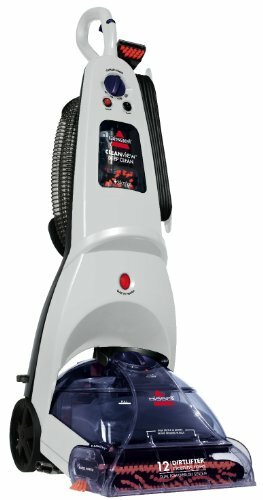 A mid-price electric carpet cleaner, with good all round functionality, if you're able to handle a heavier machine, this is a good option to consider. With its built-in water heater for high-temperature cleaning, and the DryAire jet, which dries as you clean, the Bissell is designed for busy, house-proud individuals who can't wait around for carpets to dry, but don't want to compromise on cleaning power. The Bissell features a cushion-cleaning attachment, which is also ideal for pre-treating heavy or dried-in stains. 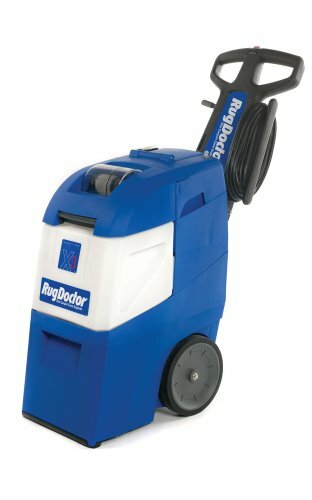 This is a pricey cleaner, and, really, the only added benefit is that the machine dries your carpets as it cleans. 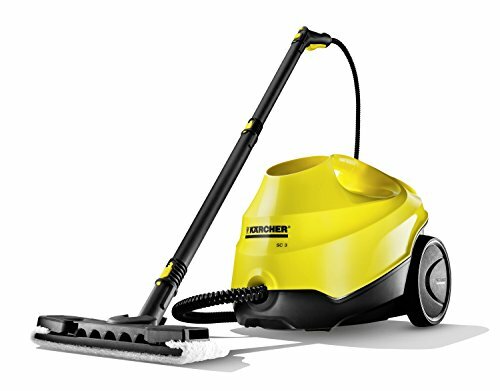 A continuous steam cleaner, which kills 99.9% of bacteria, the Karcher is like Dettol for your floors, although it does leave carpets very wet. The Karcher can be refilled whilst in use, meaning you can carry on cleaning, and get the housework done sooner. It also features an auto-descaler, which helps prolong the machine's life. This is the most affordable of the carpet cleaners we've reviewed here, so, if you can cope with wet carpets for a few hours – or have a powerful vacuum cleaner which can help dry them quicker – it's definitely a worthwhile purchase. The standard household cleaning appliance is, of course, the upright vacuum cleaner. 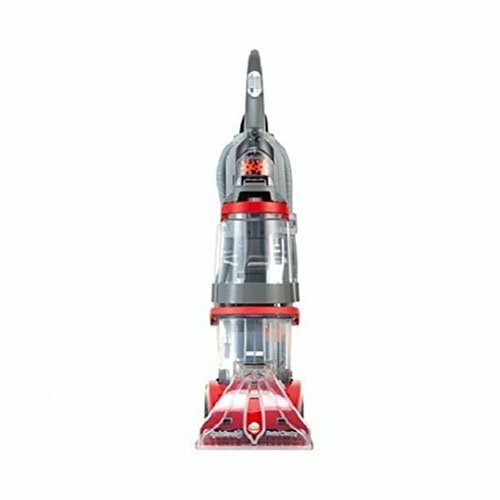 As most people have vinyl, tiles, or laminate at least in their kitchen and bathroom, as well as carpet, a multi-surface vacuum cleaner is the most sensible purchase. If you have carpeted stairs, you may want to look for a cordless upright. Following the upright vacuum cleaner is the handheld cleaner, ideal for getting under furniture that would be awkward to move, along skirting boards, and vacuuming curtains, mattresses and upholstery. For those with pets, you're looking for powerful suction, good-quality filtration, and, ideally, some form of hypo-allergenic filtration system, such as the HEPA filter. This kind of filtration cuts down on dander, fleas, and dust mites. Multi-cyclone technology is also a good idea, as it helps loosen ingrained dirt. Finally, we come to the electric carpet shampooer, which is the ultimate in household cleaning, and the carpet equivalent of a good hairwash – rejuvenating, rather than just cleaning. Electric carpet cleaners get right down and dirty, and scrub the fabric of your carpets, leaving them feeling like new, and flawlessly clean. However, they may leave your carpets a little wet while they're doing it. If you have hard floors throughout your home, a steam mop may be the best-value purpose, rather than a carpet cleaner, even one with multi-surface capabilities. Many people consider a vacuum cleaner a must-have for their home, but what about a carpet cleaner? Fear of household appliances can cause a lot of trauma in our pets and this is the reason why you should try to solve this problem as soon as possible. What if you could press a button, drink a G and T in the back garden and all your vacuuming was magically taken care of? We're talking robo-cleaners and if they work on carpets and rugs. If you are creeped out by creepy crawlies and if you acknowledge their right to live but don't think that right extends to YOUR home, then read this article. What's the Best Shampoo for Your Carpet? We researched the leading carpet cleaning shampoo brands in the UK and here's what we learned.